The last time I re-ran this post, it touched off a lively discussion among the readers. I’d like to see it do it again. Why it should be at all controversial, in a work of fiction, to depict a religious dimension to the characters’ lives and culture, is not easy to explain. Some of those secular fanatics really hate it if you even admit “religion” exists. It has been suggested that I could be more winsome in my dealings with them. That much effort, I’ll save for more important things. Having just plowed my way through another Newswithviews column, I felt an urge to celebrate. 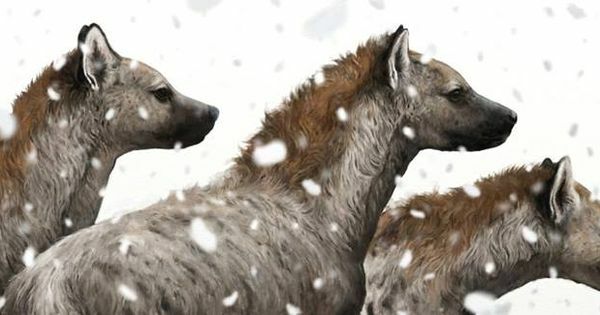 The prehistoric mammals in this video–you may want to turn down the appalling background music; I don’t know what they were thinking–are the work of Tim Haines, most of them appearing in his wonderful Walking With Beasts. And most of them have turned up in my Bell Mountain books, too! If you’ve read the books, have a little fun by seeing how many of these critters you can remember from the books. And I’m off for a bike ride! My Book’s in ‘Middle English’? Huh? Middle English is the language Geoffrey Chaucer spoke in the 14th century, scarcely intelligible to modern English speakers. Forsooth. I mean, it sounds really cool if you know how to read it, but forget about most people understanding you. I couldn’t find any other definition of “Middle English” on Wikipedia. I like “Zephyrus with his swete breethe” as much as the next guy, but c’mon, now. On the bright side, I couldn’t find any sample pages that looked like that page from The Canterbury Tales, pictured above. I hope Geoffrey Chaucer has a big fan base, nowadays. I might be in trouble if he doesn’t. Bell Mountain No. 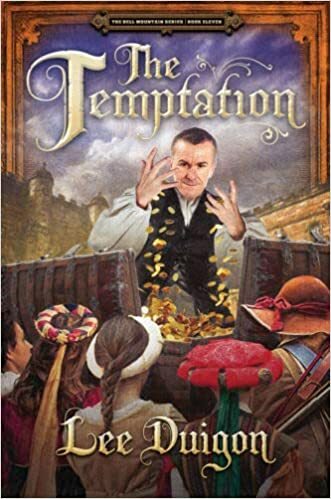 11, The Temptation, is now available from amazon.com in paperback as well as Kindle. It looks like no one’s bought it yet, so one of you can make literary history by being the first to order it. The book is also waiting (if I may use a personification) for its first customer review. Meanwhile, I have received the first little whisper of a Book No. 13–just the tiniest of hints, I don’t have a title. But it’s a good, solid hint–thank you, Lord. But for the time being, The Temptation is where it’s at. 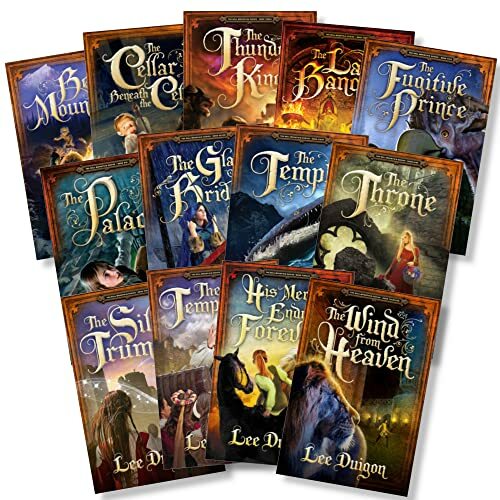 If you want to catch up with Jack and Ellayne, Wytt and Martis, Lord Orth, Ysbott the Snake, and all the rest of the characters–and believe me, they’ve all been quite busy, hair-raising adventures and all that–the best way to do it is to read the book! For no reason at all, everything here is working again. Thank you, Lord! Okay–yesterday there was nothing green on any of the trees; and today there is, some leaves have budded. Spring is definitely here. And how do they do that without anyone noticing until afterward? In a matter of weeks it’ll be time to start writing again, back to Obann to try to clean up the mess I left at the end of His Mercy Endureth Forever. I haven’t got the seed of the story yet: I have to wait on the Lord to give it to me. A nerve-wracking procedure sometimes, but it’s gotten me through twelve books. Meanwhile, dear readers, finally I have some video of chalicotheres, the “knuckle-bears” that live on the edge of Lintum Forest. It comes from the BBC and Tim Haines’ “Walking with Beasts,” a source of inspiration to me despite its bent for Darwinian fairy tales. What can I say? The beasts are cool! The video includes a shocking cameo appearance by a hyaenodon, aka the “death dog” that would’ve gulped down both Ryons and Cavall if he hadn’t been interrupted by–but I don’t want to spoil the story. How Many of These Critters Have Appeared in My Books? These are somebody’s idea of “the Top Ten Prehistorical Mammal Predators.” I didn’t actually count them, but I suspect they listed more than ten. How many of these have appeared in Obann? Andrewsarchus, Hyaenodon, Smilodon, Entelodont–plus a lot of critters not featured in this video. The books in which those four appear are Bell Mountain, The Cellar Beneath the Cellar, The Thunder King, and The Last Banquet. I do have fun, writing them up–and I hope it’s fun for the readers, too. Note I have resisted the temptation to invent animals, like giant hamsters or talking clams. I deserve extra sales for that, don’t you think?